This fictional narrative describes a favorite household pet and its features. Marco the goldfish meets a new friend and discovers his friend is just like he is. Descriptive text structure and bright illustrations will help readers with word recognition. 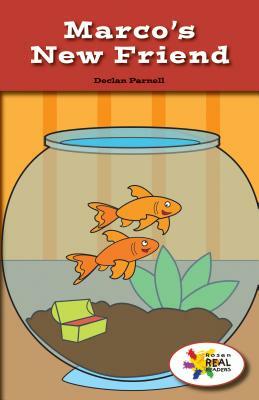 This fiction title is paired with the nonfiction title Our Class Goldfish.